It has been a gray day…. A gray week really. The fog (in our area atleast) is doing a good impression of pea soup. I can’t see two trees away into the parking lot and the horizon is completely gone. My lawn is getting lots of watering but at this point I think it would like some sun before it gets moldy. This week has been mellow, Lars has been really nice about me sleeping all the time, I’m sure I’ll get back to a normal routine in a few weeks but the extra 2 hours in the afternoon really help. Tuesday the cleaning ladies came and so we had a deadline for getting all the pennsic stuff away. Everything is clean and regular clothes are away and all the garb is in a stack in the spare room. I fired up my new serger and it works great. I finished two linen underdresses and a linen tunic of Lars’s before I washed them so they didn’t become furballs in the washer and they came out looking better then new. I know surging isn’t a period method of finishing seams but it makes them so much neater. I’m going to give the rest of the garb a once over for repairs and possible surging because it is fun and quick and easy. I’m of two minds about sewing much for myself right now, I suppose it is time to give the Houpalaunde (sp?) a go, or, more high wasted German… I have a bunch of nice fabric but none screaming German. So far everything still fits just fine so this is all thoughts toward the future. Other then a little sewing and a little cleaning I have not done much other then read. I re-read the Order of the Phoenix and I’m in the middle of the Half Blood Prince and I’m enjoying them both again. I know there were people annoyed about the ending of the final book and how there are inconsistencies between the books but I don’t think it really is as bad as they think, and, since the majority of the book is from Harry’s point of view there is always the fallback that Harry did not know something and therefore we did not either… There is plenty of that done on purpose, the perception of Snape and his parents are all through Harry’s eyes and we see that Harry is fairly wrong in his opinion. On top of that, since he was raised muggle, most of the info he has about the wizarding community comes second hand so he could easily be wrong. I think people should chill out about the plot holes, it was well written and enjoyable and as a book has gotten more people reading and talking about a book then I have ever seen in my life so that should be considered good overall. Time to get back to work, I want to get out a little early today so I can get to Target and buy a couple birthday gifts and do a little grocery shopping. I’m finding I am hungry at odd times of day and night so I need some healthy snack stuff. I just checked my blog stats and 12 people visited from Gone South! Thanks Janis! Any new people feel free to stick around, I’m not as eco friendly as Janis but she has inspired me to be more energy conscious….. I talked to my mom yesterday and she laughed that I could not resist publishing my news. I have the hope that nobody from work reads this and if they do they won’t tell any work people. A few work people know just not any of the boss people. I have a feeling that this may make me a lame duck in the eyes of the managers and I would like to hold that off for a month or so. My job has travel, usually one or two Asia trips a year, I was very glad that when I was in China I was not pregnant given the food, toilets, and general air condition (SMOG) but, I think Malaysia would be fine… I don’t know if I’ll be brave enough to or even need to actually go to either place but I would rather be in charge of my options for the next few months atleast. I do have a busy couple months planned. Lars and I plan on fighting in crown again on October 13 so I need to get organized for that and get plane tickets. We also hope to go east for coronation on Sept 29th and if work is ok with it I might get to stay the whole week to be around for the parents pig party (they roast a pig) on Oct 6th. We are also going to coronation here on Sept 8th where I was asked to speak in someone’s laurel ceremony and G2 will be stepping down and I’m sure we will party after. I have a bridal shower next weekend so this coming weekend is likely to be the only calm one for a bit. 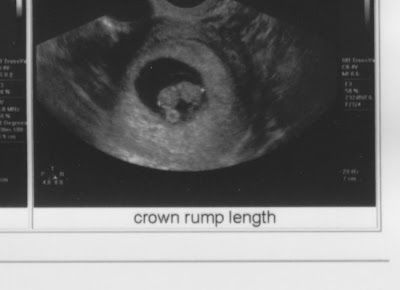 Just in case people think we are crazy for doing crown pregnant, we think it will work out ok and possibly easier to do a reign with a 1-6 month old then a 2 or 3 year old. Hopefully we will be supported at least as well as last time, we had a great time and it is something we definitely want to do again and why not sooner then later. Today work is nice and calm after a last weeks total chaos. I have lots of little things including a bunch of expense reports to enter and I’m in the offsite office so it is more quiet here. Is it time to go public? This is my first non locked entry about what has come to dominate my thoughts and actions… so much that I really can’t think of other things to really right. As of today I am starting my 8th week pregnant~ Big cheer! I’m crossing fingers and toes and other peoples fingers and toes that all goes well but so far I have felt ok. I am incredibly tired and my new pass time is napping. I am about 90% unpacked from pennsic but that was due to fear of mold then any motivation to actually want to unpack. I have a brand new shiny serger still in the box that I need to investigate and I think I will (after a nap). I had my first ultrasound last week and there was one cute little heartbeat blob, we were both excited to see that there really is an alive thing in there. Eating has become a fun experience. I never have been that into eating, I was always anti spice, peppers, onion, mushroom, creamy sauces, gloppy sauces, anything too high in fat like cheese, avocado or mango. Last year I gave up as much high fructose corn syrup (as possible) and in Jan I gave up all lunch food that comes frozen in a box to try and eat less preservatives. So, I have a limited amount of things I like eating but everyone had become fairly used to it. Now some of my favorites are off the menu; fish, shrimp, sushi (my favorite), and one of the two oatmeal’s I like because it has flax seeds in it, and deli meat AND I’ve gotten more fat sensitive and oddly adverse to junk food like cookes now turn my stomach. My new favorite food is baby carrots, I’ve always liked them but now I feel compelled to eat them…. So. this is what is going on in my world, I thought it was time to share and hopefully I’ll only have good news to share from now on.